Last week I shared a tutorial on how to create this amazing floral backdrop with paper, scissors, and a hot glue gun. You can find the tutorial here! 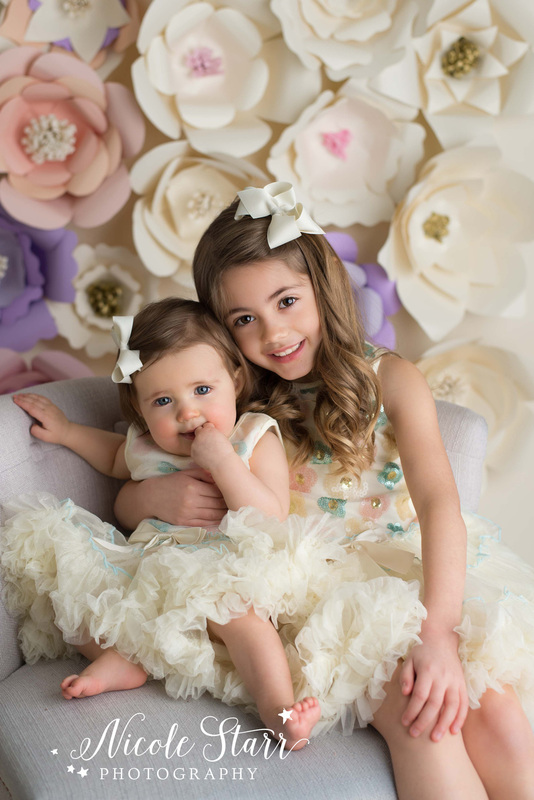 When sisters Lily and Evvie came to the studio for their springtime portrait session, I was excited to capture some sweet photos of the girls together with their frilly dresses, pastel colors, and our paper flower backdrop. These girls were a dream to photograph, and we had so much fun together during their session. 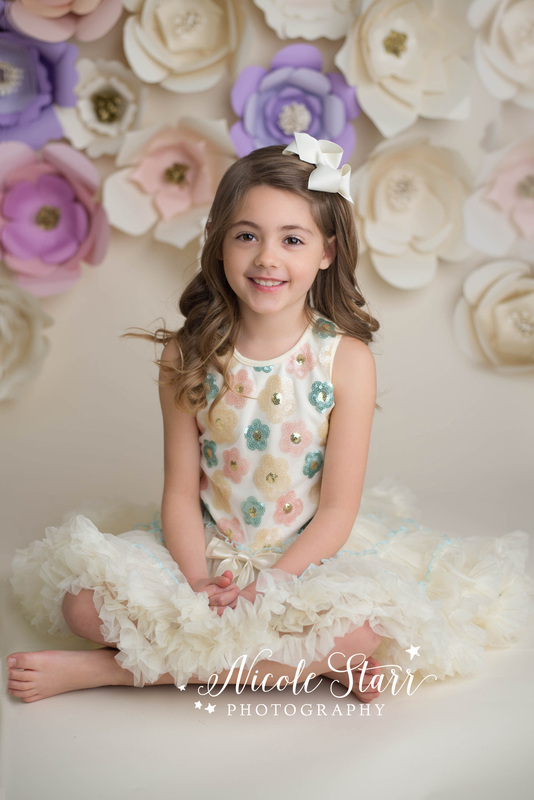 This session embodies everything that I love to incorporate into my photography -- a little whimsy, a little sparkle, and the sweetest moments shared between family. Love the look of these girly-girl dresses? Me, too! I have been adding to our collection of ruffled and sparkly outfits in the studio. More info and a look book will be coming soon!